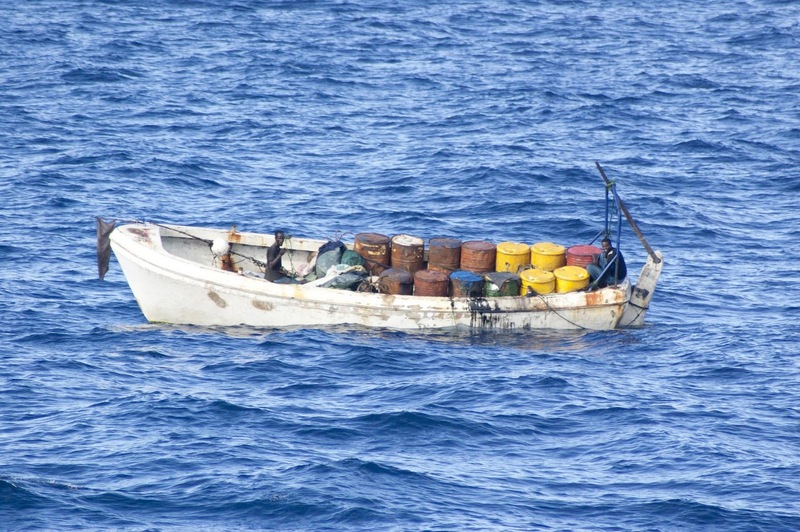 On the afternoon of 3 April 2011, the EU NAVFOR Spanish warship ESPS INFANTA ELENA, identified and boarded a suspected pirate whaler 89 Nautical miles South-East of Mombasa. 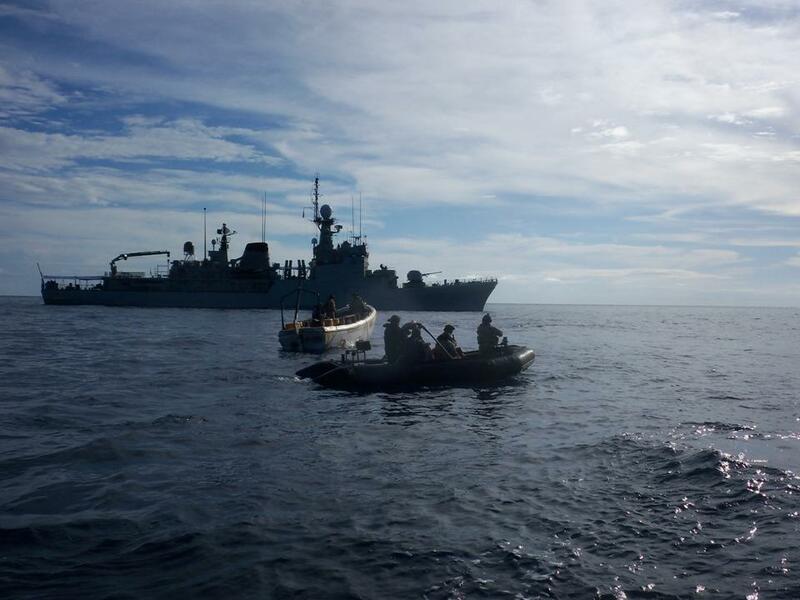 The warship had received a short notice tasking to locate a suspected Pirate Action Group (PAG) that had attacked a merchant vessel earlier the same day. 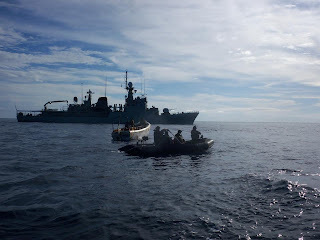 On arriving in the area, the INFANTA ELENA found a whaler-type boat, which together with 2 attack skiffs, was suspected of being responsible for the earlier attack. 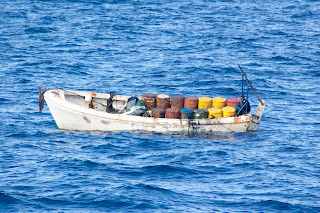 There were two suspected pirates onboard together with significant numbers of fuel barrels, as well as other suspected pirate-related paraphernalia, all of which were seized. 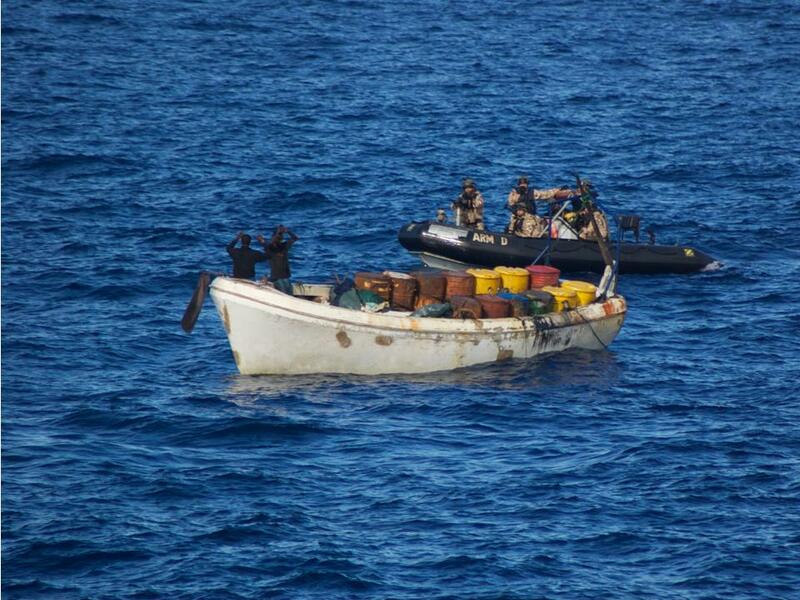 The suspected pirates were detained by the warship and the whaler was destroyed. 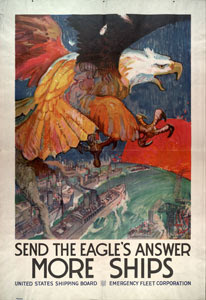 There was no sign of the attack skiffs which are thought to still be at large. 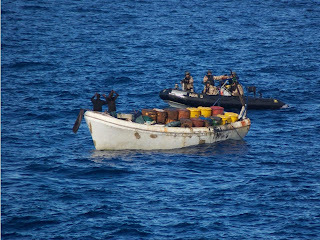 As there was insufficient evidence to secure a prosecution, the suspected pirates will be returned to Somalia as soon as operations allow.